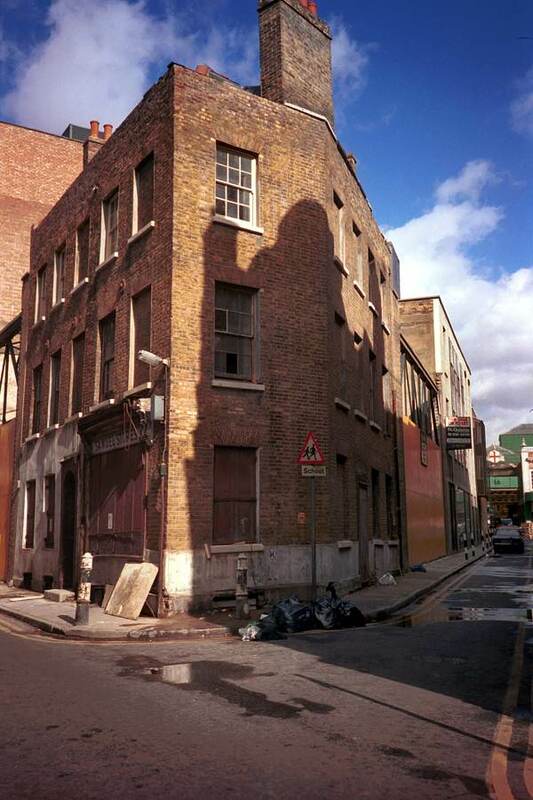 The passage of time in Spitalfields became visible to Philip Marriage as he made successive visits over three decades to take these photographs, which I publish here for the first time today. 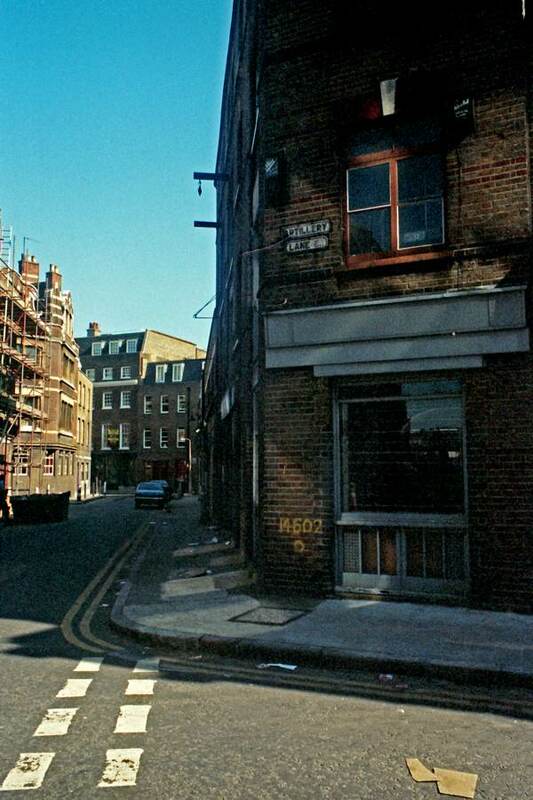 Working for HMSO publications in Holborn and commuting regularly through Liverpool St Station, he revisited Spitalfields sporadically over the years, drawn by a growing fascination with those streets where his ancestors had lived centuries earlier. 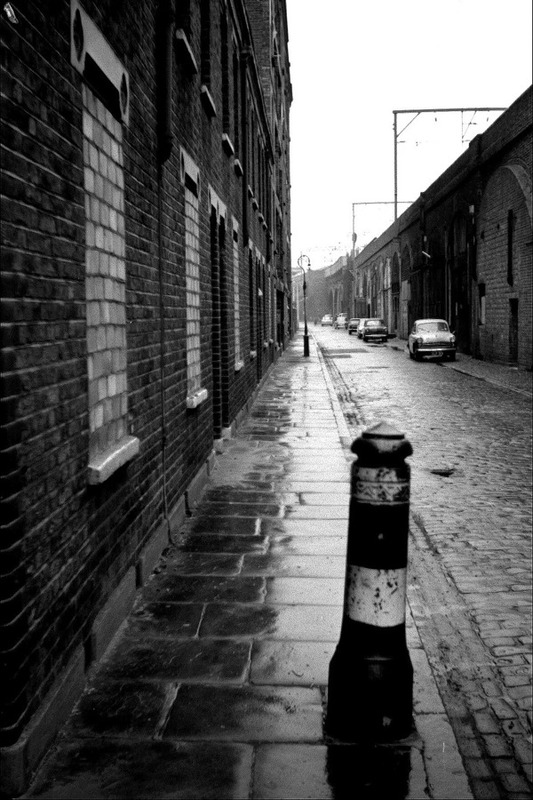 The poignant irony of these pictures is that while Philip came to Spitalfields in search of the past, he discovered many of the streets which interested him were retreating in time before his lens, disintegrating like phantoms into the ether, even as he was photographing them. 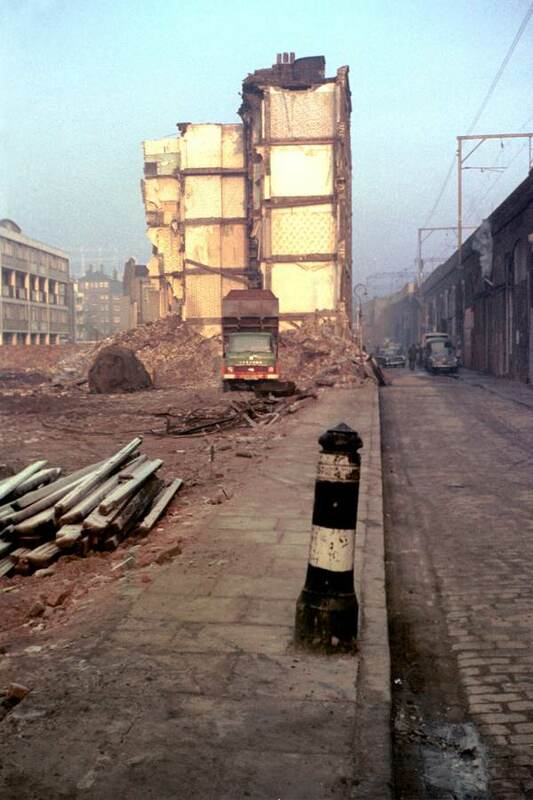 In 1967, when Philip Marriage first visited with his camera, he found a landscape scattered with bomb sites from World War II and he witnessed the slum clearance programme, as settled communities were displaced from their nineteenth century cottages and tenements into new housing complexes. 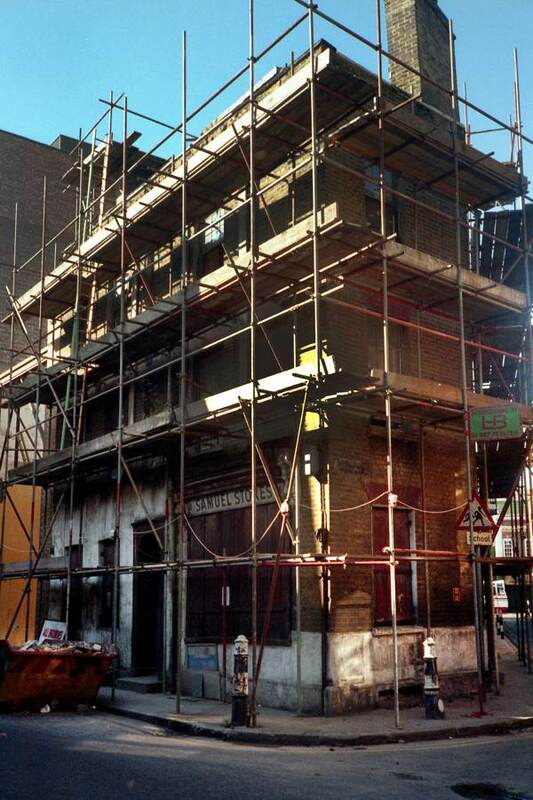 Twenty years later, he encountered the opposing forces of redevelopment and conservation that were reshaping the streets to create the environment we recognise today. But other, less obvious, elements affect our perception of time in these photographs too. 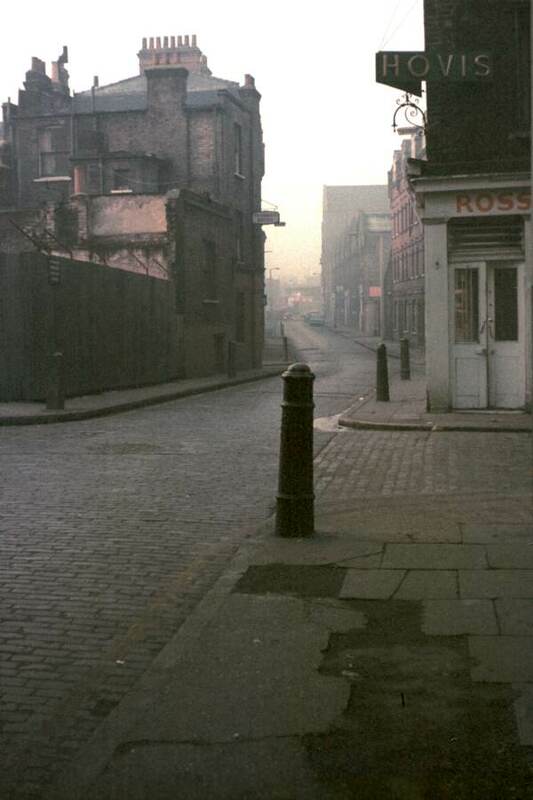 Those pictures from 1967 exist in a lyrical haze which is both the result of air pollution caused by coal fires and the unstable nature of colour film at that time. By the eighties, the smog has been consigned to the past and better colour film delivered crisper images, permitting photographs which appear more contemporary to us. 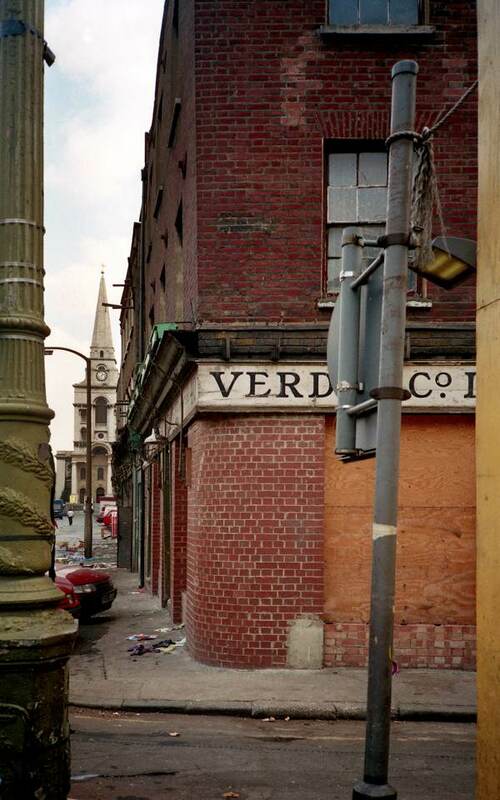 Yet it was relatively recent events in Spitalfields, that came after he took his pictures, which render Philip Marriage’s photographs so compelling now – as windows into a lost time before the closure of the Truman Brewery and the Fruit & Vegetable Market. These pictures are really interesting – thank you for showing them to us. 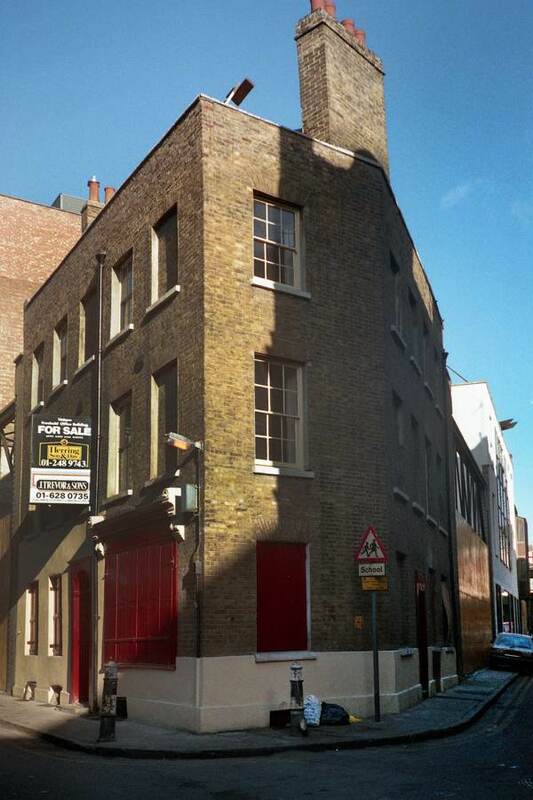 I discovered Samuel Stores, on the corner of Artillery Lane and Gun Street, in 1972 when I was working nearby. The place fascinated me, it was like walking through a time portal and stepping back 100 years, and I used to go and buy something – anything! – there nearly every day. The elderly Jewish shopkeeper was equally fascinating, he could easily have stepped off the pages of a Dickens novel. Great to be reminded of the old place once more! Wow, amazing pictures. 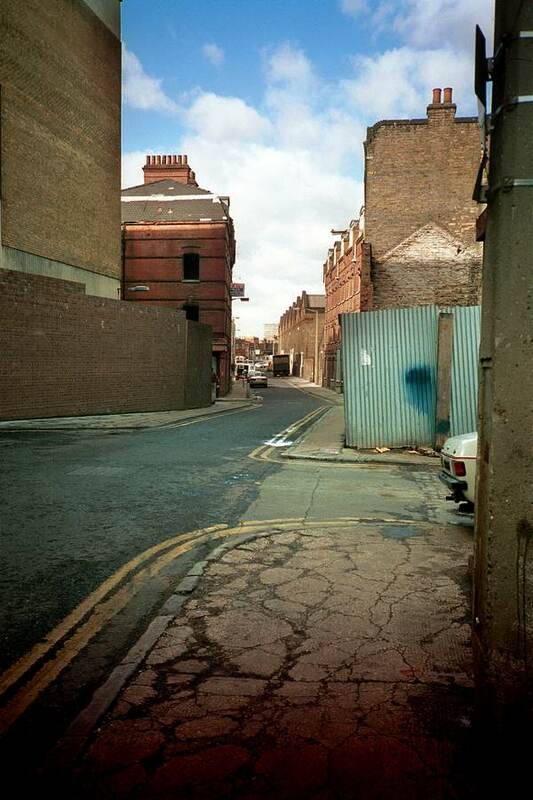 Quaker Street is where I live and grew up. 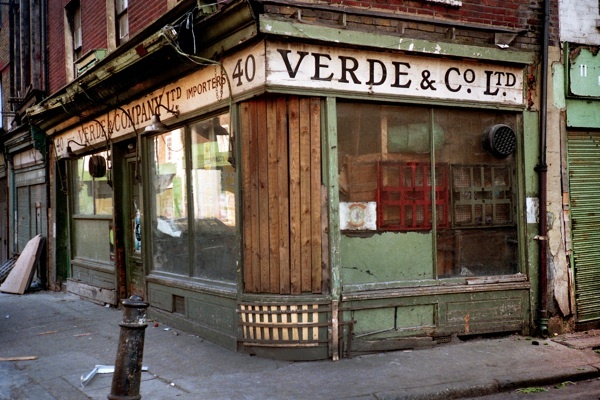 It’s fascinating to look back in time at the street before I was born. Any more pictures of the area would be greatly appreciated. I have really enjoyed the pictures. 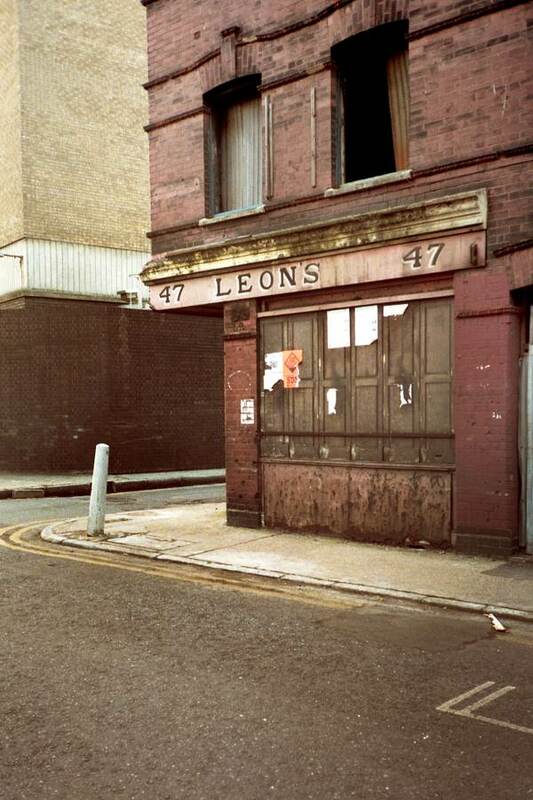 As a very young child (born 1940) I spent time in the communal air-raid shelter in Lear Street (formerly Cordelia Street) in Mile End and remember the sounds of all-clear and warning, and felt the fear of the adults present. Are there any photos of bomb damage in existence. 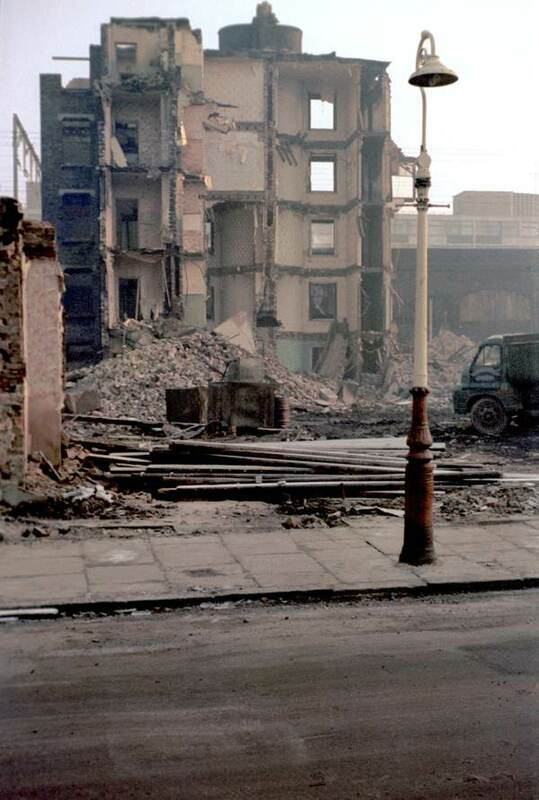 Occasionally, while adults not looking, we played on a bomb site, and would like to see it now! many thanks for all the photos – spent a lot of time enjoying them. 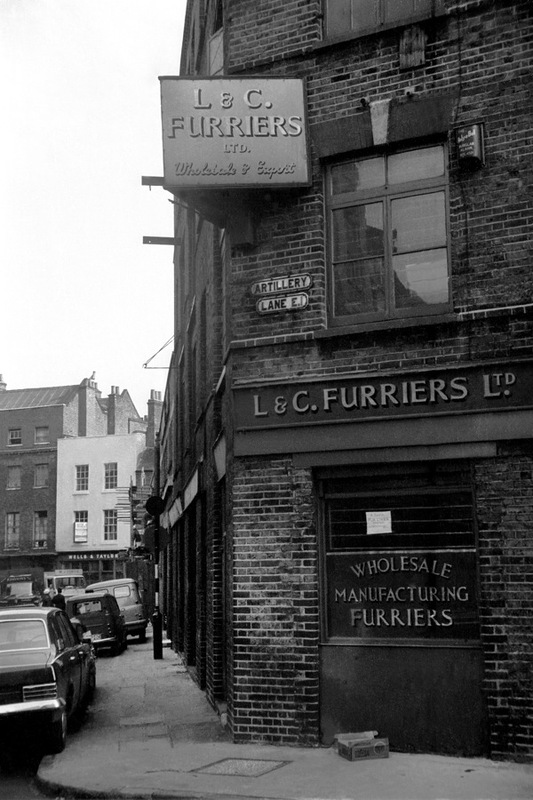 I’m loving these old pictures of Spitalfields – my grandfather was born there in 1891, and I heard many stories of his life there, and our family history is wrapped up with this part of London. I visited there for the first time a couple years ago, and the address he was born at was miraculously still standing! I even got to go inside and look around – a great place for a couple to live, but I can’t imagine how my greatgrandparents and twelve kids lived there!! 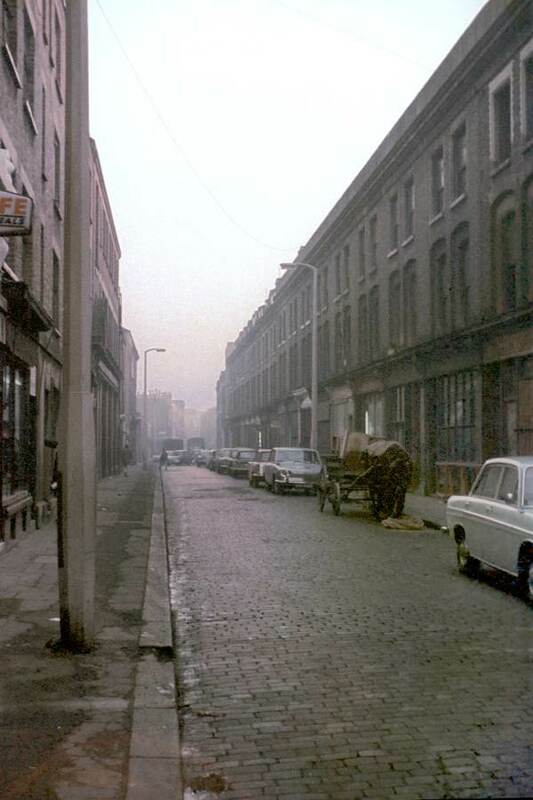 Thank you so much for sharing these fascinating pictures, Cheshire Street especially, which is where my silk weaving ancestors lived and worked. A wonderful addition to my family tree. 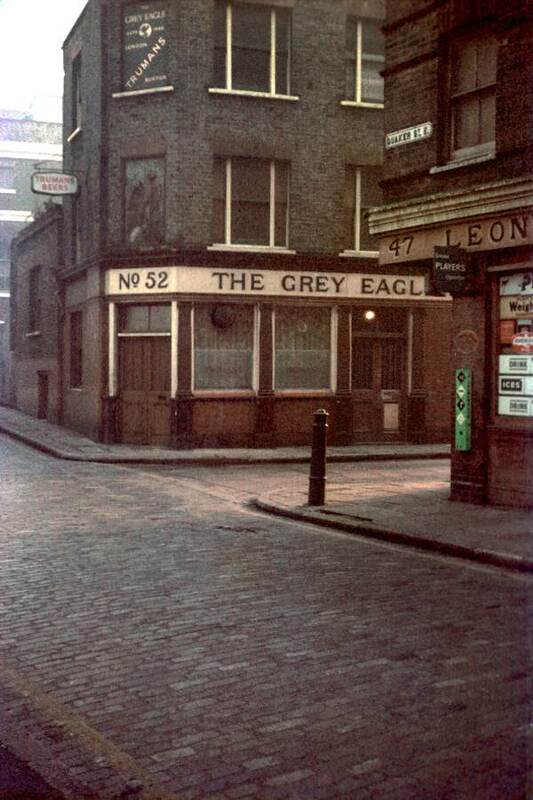 I grew up in Seabright Street Bethnal Green in 40s and 50s. How things have changed just thought it was normal all the dust everywhere. Try to tell my family what it was like, these old photos show it as it was. Form is emptiness, emptiness also is form … emptiness is no other than form, form no other than emptiness. Our projected realities belie what is there.